Aloo gobi is one of my favorite things to order at Indian restaurants. 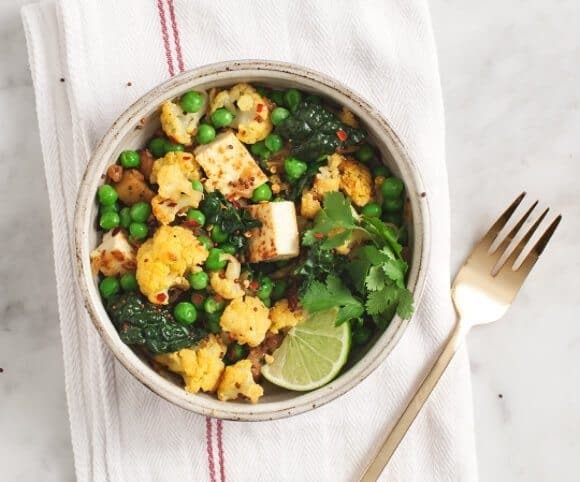 This recipe adds fresh peas & greens to the classic cauliflower & potato curry. I can’t claim that I cook Indian food authentically, but what I can do is cook Indian-ish food that tastes pretty good. Aloo Gobi is one of my favorites, and this is my at-home version. 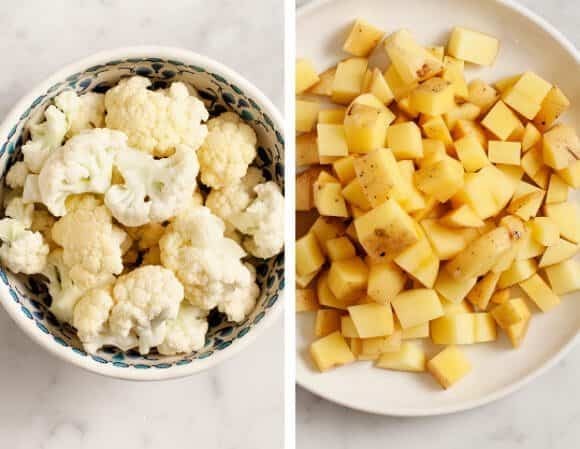 The basic components are all here: potato (aloo) & cauliflower (gobi). The rest is a bit of a riff… it’s a little lighter and a lot greener. Also, these ingredients should be easy to find. I think this aloo gobi recipe makes the perfect “it’s still winter but almost spring” meal. It’s warm and hearty, but it has bright pops of peas and a few handfuls of greens. A bit of coconut milk and a squeeze of lime make it rich & tangy. Feel free to make this as spicy or as mild as you like… An extra pinch of cayenne for me, please. 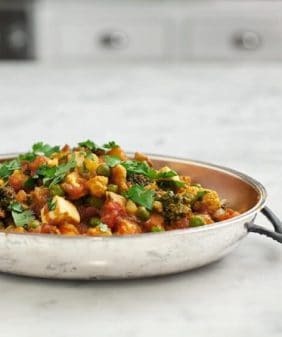 If you love Indian-inspired dishes, try this vegetable curry or this chana masala next! 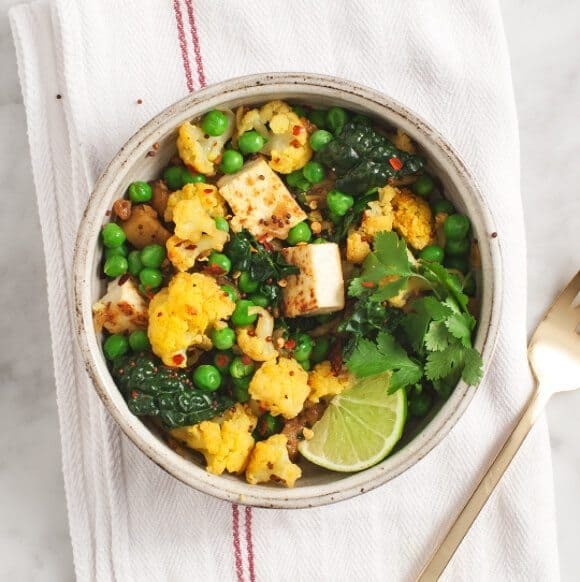 This simplified version of aloo gobi uses peas & kale to add pops of green to the classic Indian dish. Heat oil in a large skillet over medium heat. Add the chopped onion, a few pinches of salt and pepper, and cook until translucent. Add the mustard seeds, curry powder and stir. Add the garlic, ginger, potatoes and another few pinches of salt. Stir and let the potatoes cook for a few minutes without touching them. Add coconut milk, peas, a handful of kale or spinach, a squeeze of lime and let everything simmer together (uncovered) for another few minutes. Stir in cilantro and taste and adjust seasonings. (optional step - Add tofu back into the pan until it’s warmed through). Serve with basmati rice or naan. To cook the potatoes faster, pre-bake, boil, (or microwave) them so they just slightly begin to soften before you start. *I've been loving muchi curry powder lately (Whole Foods makes a nice one - in their bottled spice section, not bulk), if you don't have/can't find it, sub in a combo of cumin, coriander, turmeric, and a pinch of cayenne. This looks great! This is one of my favorite Indian dishes. Whenever i make it at home though, it never tastes like the authentic type. But your recipe doesn’t have 8 billion ingredients which is nice. And I have all of them at home! I love traditional Indian food (my favorite entrees are curried eggplant and dal) but I like your style of making this dish one lighter. Pinning it now! 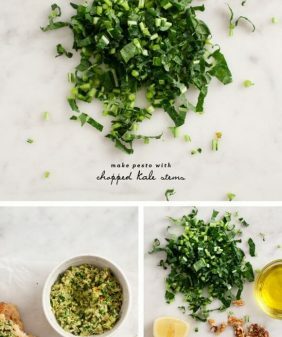 I love the greener version you have created of this dish. It looks so tasty and healthy too! Oh this looks delicious. So fresh and tasty. This looks lovely! I used to live in the Middle East where I ate a whole lot more Indian food than I did any other type of cuisine, and because we had friends who would make us fresh authentic curries from scratch every week, I totally took it for granted. Now that I’m back here in Canada, I really wish I could go back to the spice markets where everything was so fresh and vibrant, then replicate the same dishes. Until then, I’ll be doing the same as you and riffing on the usual staples! 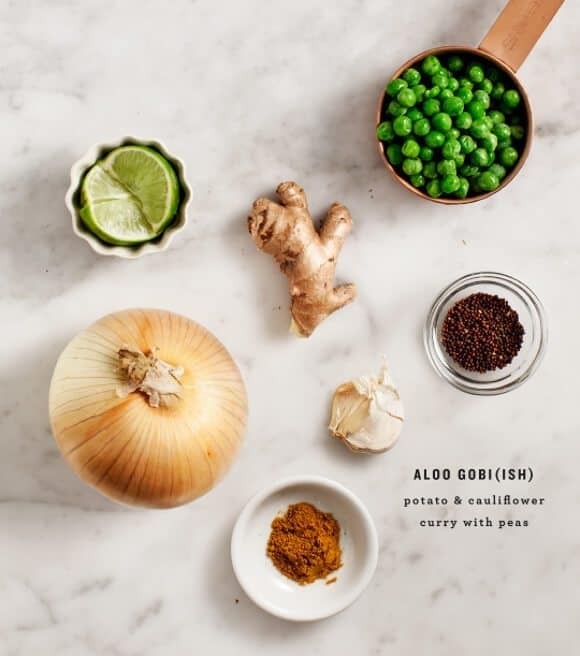 I love that your Aloo Gobi is “ish.” It is also one of my fav Indian dishes, this and chana masala…and eggplant bharta too…there are too many good ones! you can never go wrong with Indianish food that has amazing flavor but greener and lighter.. I love Indian dishes too. This looks absolutely lovely. Mmm looks yummy. I am looking forward to making this. i just made this for tomorrow night’s dinner and it’s delicious, think i will have some now!! I was thinking of making a vegetarian curry with coconut milk this week. Thanks for the tips! This is just so beautiful, and I love that you make “indianish” food- that is exactly what I say! It is the flavors that evoke the feelings and delicious tastes that matter- not the authenticity. 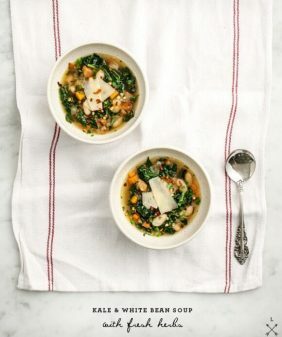 Since I am completely obsessed with curry lately, I cannot wait to make this for my husband and myself! I think we would really love this one!! Thanks!! I’ve never heard of aloo gobi-ish but it sure is beautiful and it looks DOWNRIGHT scrumptious! This is mine kind of meal! Excited to try it! I just made this and it was super easy and totally delicious! Thanks so much for the recipe. Love your site! Just wanted you to know that recipe is included in a pea recipe collection today on Simple Living and Eating. I will be pinning and tweeting it this week too. Just made this for dinner and I’m thinking about making more tomorrow! I used Madras curry powder and it tasted super delicious. 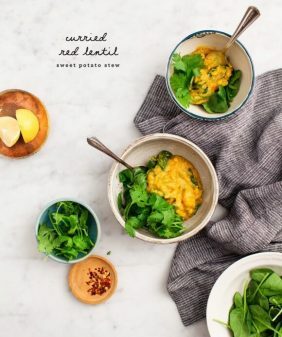 Thank you for this very fine recipe – everything came together nicely and the 1/2 cup of coconut milk is all that was needed to keep the sauce nice and thick and low key – however, while cooking I noticed that it tasted much blander than regular Indian-ish recipes I’ve made before. – I doubled the curry and added cumin and smoked paprika – however it needed something to make it come alive. Perhaps give an alternative spice list and amount for something with more “zing”? Made it tonight for my family after having trader Joe’s samosa and pakoras for appetizers. Turned out good but the potatoes needed more cooking. Leftovers will be perfect tomorrow:) thank you for sharing this yummy and healthy recipe! 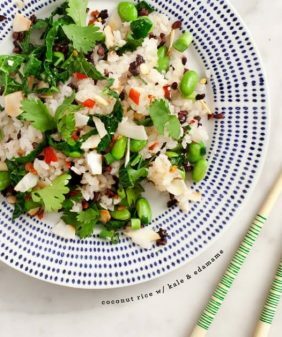 Hi Jeannine – I so wanted to love this recipe, and I love the idea, but I struggled at every turn. I used 2 tablespoons of coconut oil as you suggest, but before I I added the potatoes the pan was so dry all of the yummy curry spices were burned and stuck to the bottom of the pan. I added water a step before you called for adding water, and kept adding more and more water throughout, but the whole time the dish was really dry and I was scared adding water would make it bland. Help! How could I make it more liquid and simmer-y? Hi Emily – oh no! I’m so sorry you had trouble. I would try cooking at a lower heat so that everything cooks a little slower without burning. Try adding the ginger and garlic toward the end of step 3 so that they won’t burn (adding garlic later is something I’ve recently started doing). I think your pan might have been bigger than mine, so I’d add more water – enough to fully coat the bottom of the pan so that the potatoes have enough water to steam in. 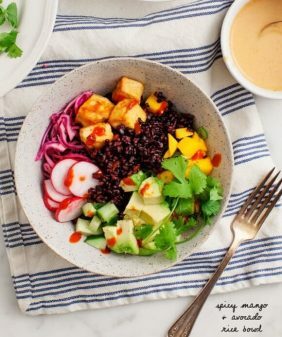 I really appreciate your feedback – I’ll give this recipe another try so that I can improve and clarify the cooking instructions. I have been meaning to make this for years! I finally did it. One thing I really liked about this was it’s capacity to be “empty the veggie bin” sort of dish. I tossed on a zucchini and nearly gone bag of baby kale and it worked fine. Reading the other comment I was area that this dish might get dry so I didn’t worry about the water. I par boiled my potatoes so that once everything got in the pan it moved quickly and I wouldn’t worry about burning spices. I used both frozen cauliflower and peas – again the moisture helped create steam. I probably had too much potato in the end but it still worked. One other change I will make next time is to mix all my spices, including salt into the coconut milk and then add that spices liquid to the pan. I did have trouble getting all the flavors to incorporate throughout the dish evenly and I think that would help.